Click “Referral Request” at right. Or fax us at 336-333-6309. Please send the patient’s medical records via our special fax line designated for medical records transmittal only: 336-458-3681. If imaging studies have been completed, please send copies to our office with the patient. 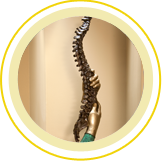 For patients with acute injuries, request an appointment in our Urgent Spine Clinic when you make the referral. Patient will be seen within 24 hours – in most cases, the same day. Immediate on-site imaging studies are performed when indicated. Same-day treatment is provided, including PT, spinal injections for pain, and emergency surgery if necessary. We thank you for the opportunity to partner with you in caring for your patient. 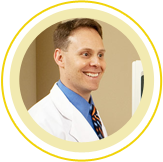 If you have any questions or would like to discuss your patient’s case with one of our physicians, please call us at 336-333-6306.